Serving Central Texas for Over 35 years! As a new and used Subaru dealer in Killeen, we cater to the diverse needs of Subaru drivers all over central Texas. Subaru cars and crossovers offer all-wheel-drive capability, as well as superior safety and reliability, all at an affordable price. Our customers appreciate a high-tech, low-fuss vehicle, which is why our new Subaru inventory is so popular. We offer the entire lineup of new Subaru vehicles, and we always have a variety of variants to choose from when it comes to our most popular models, like the Forester, Impreza, Crosstrek, Outback, Legacy, and WRX. Did you know that 98 percent of Subaru vehicles sold over the past decade are still on the road today? That explains why our facility is also a hotspot for used cars for sale in Killeen. While we offer high-quality, pre-owned models from dozens of makes -- like used Ford, Chrysler, and Hyundai -- our used Subaru inventory really takes the cake. Subaru vehicles boast a high resale value, and they're incredibly resilient, dependable, and long-lasting. Our Certified Pre-Owned Subaru offers the most peace of mind a used Subaru can buy, thanks to rigorous inspections, strict criteria, and new-car benefits like warranties and special financing rates. Regardless which type of vehicle you're shopping for -- new or used, Subaru or otherwise -- you can peruse all of your Cleo Bay Subaru options from the comfort of home. We digitize all of our inventory so you can narrow down your options before you even visit our dealership. This means more time on test drives and less time wandering our lot or sitting in a chair in our showroom. We even allow our customers to start the Subaru lease and auto loan process from their electronic devices. Simply submit a brief financing application for instant credit pre-approval, eliminating a great deal of paperwork typically completed at the dealership. We offer a wide range of auto financing options, and we work with many different types of lenders in order to be able to offer more of our customers a payment plan that works for them. We bridge the gap between the sticker price and your budget in a multitude of ways, including our Guaranteed Trade-In Program. We encourage you to reach out to our sales consultants for a one-on-one consultation about your financing and trading options. When it comes time for routine maintenance or surprise repairs, why not stick with a name you trust? Protect that award-winning safety and superior surefootedness with our certified Subaru service in Killeen. We staff professional Subaru technicians that know the ins and outs of all Subaru vehicles on the market. 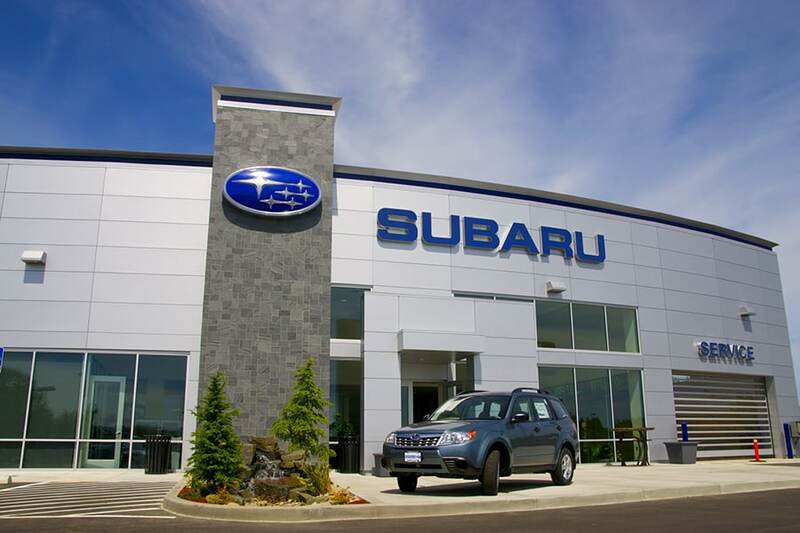 Along with our specialized diagnostic equipment, genuine Subaru factory parts, and manufacturer resources, we can inspect, diagnose, and repair a problem more efficiently and effectively than a general mechanic. We encourage you to drop by the dealership to see what we're all about. We are centrally located for drivers all over the Temple, Copperas Cove, Fort Hood, and Harker Heights area at 2125 E. Stan Schlueter Loop in Killeen. You're welcome to visit our showroom at your leisure for a test drive, a consultation about your financing options, and even just a tour of our facility. We're open late for you convenience, including full Saturday hours. Feel free to reach out to our staff at 888-446-6063 for additional information. We look forward to serving you for many thousands of miles to come.